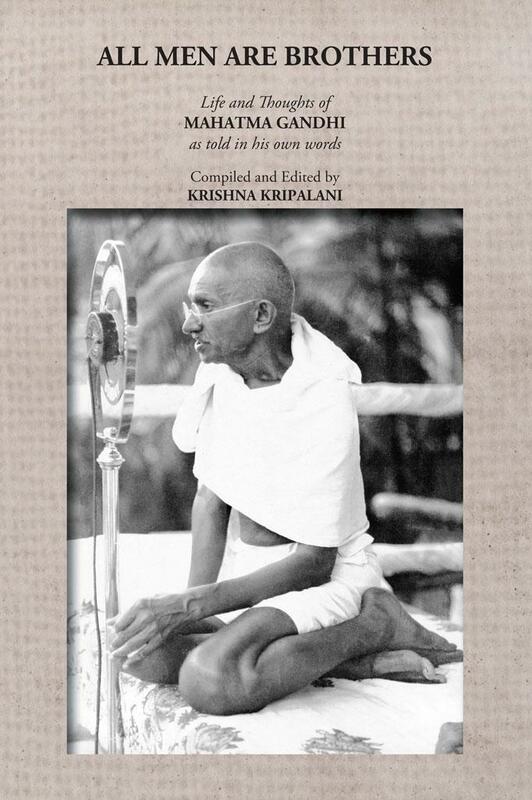 It is a selection from writings of Mahatma Gandhi compiled for the UNESCO, for presenting in one handy volume, the life and thoughts of the Mahatma as told in his own words. The Navajivan Trust has published a cheap edition in English and in other Indian Languages. The texts have been selected to appeal to a wide public and are intended to help the reader understand the different aspects of Gandhi’s personality and writings on religion and youth, means and ends, ahimsa-non-violence, self-discipline, international peace, man and machine, poverty in the midst of plenty, democracy and people, education and woman. These selections from his speeches and writings compiled with great care gives the reader some idea of the workings of Gandhi’s mind, the growth of his thoughts and the practical techniques which he adopted. “I have nothing new to teach the world. Truth and non-violence are as old as the hills”, was Gandhi’s message to the world. Gandhi discusses in his writing and speeches that truth and non-violence can be practiced in the field of politics. In fact, he was the first man in human history to extend the principle of non-violence from the individual to the social and political plane. He used them as a means of individual salvation. He emphasis on establishing the kingdom of Heaven. He discusses in the book that in the present nuclear context if we wish to save the world, we should adopt the principles of non-violence.